Indian mythology is complex. In school, I had my first introduction to the Ramayana and the Mahabharata. The textbooks tried to cover the entire epic without getting into the details. Obviously, it all seemed like one long story which didn’t really connect. Watching the same on Television was a different thing. I still recollect the excitement of seeing one arrow splitting into ten and killing ten people in one go! Oh the thrill of it 😀 !! Over a period of time, I treated the epics for the tales they were and nothing more.There were a myriad of characters over different periods of time and it became difficult keeping track of them. That was before I read Chitra Banerjee’s stellar “Palace Of Illusions”. It woke me up with a start and I realized that there was more to the Mahabharata than what I initially thought! If Palace of Illusions was Draupadi’s take on the Mahabharata, Sharath Komarraju’s “Winds Of Hastinapur” narrates the epic from Ganga and Satyavati’s perspective. I was hooked to WoH the minute I started reading it. The story begins from a time past, when Ganga, the Lady Of The River was a mere slip of a girl.The book is split into two parts, the first half is the narration by Ganga and the second half is the story of Satyavati, the fisher-woman who marries Shantanu, the King of Hastina. The tale begins with the circumstances that result in Ganga coming down to the plains of Hastina,marrying Shantanu and bearing him sons. The story ends with the birth of Dhritrashtra (Satyavati’s grandson) and the expected birth of Pandu and Vidur. 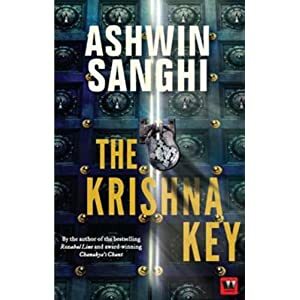 Of all the characters in the book, it is the character of Bhishma, who holds the tale together. It is him we find out more about, the origin of his birth, his life, his oath and the reasons for his actions and his popularity . Sharath draws a very believable picture of Bhishma, a person as much a man of his own making as that of the circumstances surrounding him. It is difficult, not to feel for this person, his inner strength, his control over his emotions and his sense of loyalty. The other character who stands out is Satyavati, the fisher-woman. She is someone I never heard of before, maybe only as the one because of whom Bhishma takes the oath of celibacy. Here, Satyavati is a character who has her own failings. When younger, she is proud and haughty but as the book progresses and she ages, we realizes just how naturally she becomes wiser. Her moments of conflict and eventual regret are beautifully put together. While reading the book, I realized how much the author’s style is different from his previous outing, “Banquet of the Dead”. While BoTD was a murder mystery, WoH is a retelling of an epic in a beautifully articulate manner. It is surprisingly mature and delves deep into the psyche of its characters. Frankly, I had trouble believing that the two books were by the same person! “….every woman had to give up her son for fostering at some time or the other, and she now saw the wisdom in the High Sage’s words. The line of men was always measured by the father. Yes, the mother bore him, fed him, carried him, reared him, but it was the father whom the son ought to follow, and it was the father’s deeds and name that the son ought to emulate. That was the way of the world, and it was neither cruel nor kind, for the world does not care for the whims of man. So it was right that from now on he was no longer the son of Ganga. He was the son of Shantanu. 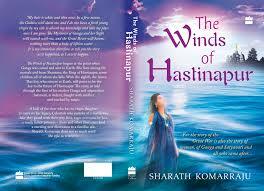 The “Winds Of Hastinapur” is a classic tale retold in a simple manner. The author claims that it is his own perspective of the epic and I am inclined to go with his version because it just makes more sense! There is a logical outcome of each situation, nothing is thrown at us in the name of special powers or magical prowess. There is no mention of arrows splitting (alas !) and maybe that is why, it is easier to relate to! Do pick up your copy if your interest is piqued just as mine was. I’m going to place my copy right next to the “Palace of Illusions”, a book I hold in high esteem. Has anyone read “7 Habits of Highly Effective People? It was a pretty good book which put me off self-help books forever 😐 . I mean, it did spout a LOT of wisdom and all that jazz, but I could appreciate it only when my eyes were open. For the most part, I believe I snoozed my way through it. It was going to be tough. It didn’t help my cause that I abhor self-help guides, I hate preaching of any kind. Period. But what must be done, must be done. After 3 days of dillydallying (while the clock ticked and my review-publish date drew closer), I finally ground my teeth to powder and sat down to finish the darn book. There are self-help books and then there is F? @k Knows! Unashamedly unapologetic with a generous dose of humour. Take it or leave it! Shailendra Singh makes no bones about his intention of penning this book. You may either take time to ponder over his pearls of wisdom or throw the book in a trash can. He doesn’t give a F?@k. And thats why, for someone who loathes self-help books, “F? @k Knows” comes as a breath of fresh air. The book is divided into multiple chapters, with titles ranging from “F? @k Knows Why the Word Suicide is Called ‘Khud-Khushi’ in Hindi” to “Chi F? @k Po” 😀 . The incidents mentioned in the book are all from the author’s personal experiences. Though some of them are grim, he manages to coat them with a sugary layer of wit and humor. I personally wouldn’t recommend the book for teenagers for it has its share of hidden profanity (not that kids these days don’t know the meaning of all of them 🙄 ). There are also some sections dealing with more intimate matters which are expressed rather artfully I must say. Shailendra Singh, Joint Managing Director of Percept India and the brain behind Sunburn and Go For Gold, is a born dyslexic. In the earlier sections he mentions that he always had trouble reading and the only books he could get through were the self-help ones. “F? @k Knows” is just the right book to grab when you have a few minutes to spare, while traveling or waiting at the airport/railway station. You can read a couple of chapters while drinking a cup of tea/coffee during office breaks. The best part is that the chapters are short and sweet and just long enough to drive the point home. They are easy to remember and quote….maybe thats why the book makes its impact 🙂 . RIP or Resurgent Indian Patriots is a bunch of Special Forces ex-officers who go by the moniker, The K-Team (as all their names begin with ‘K’), lead by Krishna Athawale, a widower and a staunch believer of the need to bring about some drastic changes in India’s political scene. He, along with his team embark on a mission to eliminate corruption and force the government to cede to the demands of the common man, in this case, represented in the form of a certain Mr.Hazarika (Anna Hazare anyone?). The CBI Director, Vinod Bedi is assigned the task of identifying and eliminating the RIP. It is a daunting task, because though the K-Team leave clues to determine the identity of their next victim, the sheer number of corrupt politicians/officials/judges who fit the bill, make it difficult to identify that one single target. Also, Vinod does not want to give in to the Home Minister’s subtle hints to ‘eliminate’ the RIP instead of just capturing them. Raghav Bhagat, a rogue ex-para trooper is on the roll of the Home Minister, who is assigned the actual task of killing the RIP, once they are identified by Vinod and his team. Vinod and his team are unaware of the Home Minister’s back-up plan to hunt for RIP. With three different teams working on one target (one to carry out the killing and two to prevent it) , the first assassination after the RIP go public, is so fraught with confusion, it is difficult to put the book down! There is a love triangle in here too, but I will not give away much about it. 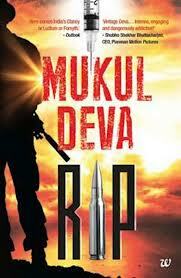 For the record, I had never heard of Mukul Deva before. I’ve also never read any books on the military, espionage, etc. Yet, I picked up this book for reviewing because I really wanted to give this genre a chance. I’m glad I did, because I enjoyed reading “RIP”. I think I might be tempted enough to read more of his other books soon. Ishigami is a middle-aged mathematics genius who works as a school teacher. He has a secret crush on Yasuko, his neighbor who is a single mother with an exploitive and abusive husband whom she avoids at all costs. When Yasuko lands in trouble, Ishigami steps in to help her out, using his simple mathematical mind to calculate his moves and those of the police. How he goes about the entire set-up forms the core of this story. Also playing an integral part are Yukawa, Ishigami’s ex-classmate and a physics genius, the only man who can come close to deciphering Ishigami’s plan though he cannot will himself to hand over his friend to the police. The narration crackles with intensity whenever these two characters meet. But the story is more about “Devotion”. How aptly has this book been named. Surprisingly, what we see in the book isn’t an act of just devotion, but of pure, unadulterated , selfless love. A love so deep that it cannot be named. And when the suspect screams out in the end, we feel his frustration. Feel his love. I never had a chance to read up on Japan or Japanese culture before, save that one book called “The Rising sun” by Michael Crichton and the Oshin series that played on DD a long time back. Where one was indicative of Japanese culture as perceived in Western settings, the other harked back to the Japan of yore. Reading the “Devotion Of Suspect X”, I realized that Keigo Higashino has presented Japan in a manner that makes it very simple for us to understand the characters and the reasons behind their behavior. If not for the small details like sliding doors or lunch boxes, the story could have been set anywhere in the world. Some locations, like the slum dwellings under the bridge on a river can be found anywhere. And that is what is special about this book. We can relate to the story because it could have taken place right in our neighborhood. Yasuko could be that single mother who lives across the road and Ishigami would be the school teacher we see with unseeing eyes. It is very difficult to review this book without giving out any spoilers. I’ll try though. The author delves into the inner fears of the suspects, never once letting go of reality. So when Yakuso, the main suspect wonders where her love-life will lead her, she also wonders how her daughter will cope up with the new developments. Or if she will. When she has the attention of two men, she cannot decide between the one for whom she feels an inkling of love and the other for whom she feels the deepest gratitude. Who will win? I make it sound like a love story but the book is actually a very gripping murder mystery. It isn’t as much of a whodunnit than it is a howdunnit or a whydunnit!! The book reminded me of Agatha Christie’s “Curtain”, Poirot’s last case . There, Poirot himself commits a murder which comes out much after his death. In TDOSX a similar genius takes it upon himself to act as an accomplice to murder and lay the path that the police would follow later. He leads them on in a manner which is truly mind-boggling, until another genius figures out the motive and the plan. The mind-games that follow is what forms the chunk of the narration. There aren’t many twists and turns, but enough intrigue to keep you glued to the book. I have just one gripe with the story. The police were depicted as hardworking men who did their best to pin the crime on the primary suspects. But not much coverage was given to their attempts to broaden their investigation. We are given no inkling as to whether the police have found any other possible suspects, except the ones who are the central characters. The subsequent investigations appear very one-sided and forced. Or maybe, as the end clarifies, that is exactly what Ishigami had predicted and planned. Whatever the case, while reading the book, I couldn’t help but wonder about the level of harassment the Police officers inflicted in the name of investigations . Also, there was content that appeared to have been ‘lost in translation’. I’m sure the Japanese version would have been even more gripping. Technically, the English version was up to the mark. No complaints there. On another tangent, it was kind of awe-inspiring to see the way a common person reacts to the police force in Japan. No derogatory comments, no pulling down of the ‘system’. In fact, one instance that stood out for me was when one character beats up another man, the culprit’s wife makes him visit the victim and apologize. Knowing fully well that one report from the victim could land him in the banger, the character meekly follows his wife and offers his apology. The crux is that the common man respects the police force. Do grab a copy of “The Devotion Of Suspect X”. It is truly a captivating read!! Now that I have, looking forward to watching the movie. In 2010, there were 323 new posts, growing the total archive of this blog to 460 posts. There were 415 pictures uploaded, taking up a total of 110mb. That’s about 1 pictures per day. The busiest day of the year was November 3rd with 718 views. The most popular post that day was By The Water Cooler !!. The top referring sites in 2010 were orangeicecandy.blogspot.com, blogger.com, google.co.in, Google Reader, and mysoul.wordpress.com. Some visitors came searching, mostly for jeet, bitter gourd, new moon poster, momofrs, and bittergourd. At the end of it all, I can’t help but think how vapid my blog really is!! I mean, other blogs attract people with subjects which are funny, intelligent, thought-provoking, full-of-awareness and what not! And what do I offer?? 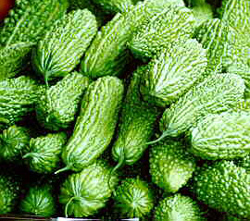 A highly searched post on the karela and a flighty review of a not-so-captivating teen romance!! Maybe, I need a makeover. What say people? Does this blog interest you enough for me to keep it as it is? ?